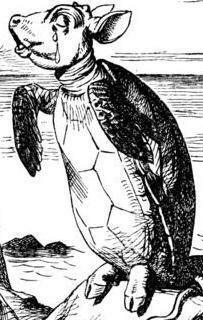 December 6th: Holiday Mock Turtle! Put on your favorite ugly sweater and join us December 6th, 6:45 PM, at The Wonderland Ballroom. MFA’s, MA’s Ph.D.’s, friends, and local drunks all welcome. Join us for a Halloween-themed Mock Turtle this Saturday, November 1st, 6:45 PM at Wonderland. Costumes encouraged! We’ll hear fiction from Jacob Sevick, Alec Osthoff, and Lindsay Fowler, and poetry from Patrick McGinty, Quinn McCracken, and Amanda Allen. Greetings, MFA’ers & friends! We hope you will join us for an excellent night of readings at Wonderland Ballroom on September 20th. Festivities begin at 6:45. We’ll hear fiction from Flora Qian, Jacob Eckstein, and Jesse Brooks, & poetry from Kelsey Kerr, Micaela Cameron, and Mason Henderson. Be there. FOLLOW US DOWN THE RABBIT HOLE. The Mock Turtle is a DC reading series featuring writers from the University of Maryland MFA program. During each semester, one Saturday per month, we commandeer the second floor of The Wonderland Ballroom. We drink. We read. We dance.